Easter walk in Denali National Park from the Teklanika Parking area at mile 30 on the Park Road. The first bear I've seen in 2014! 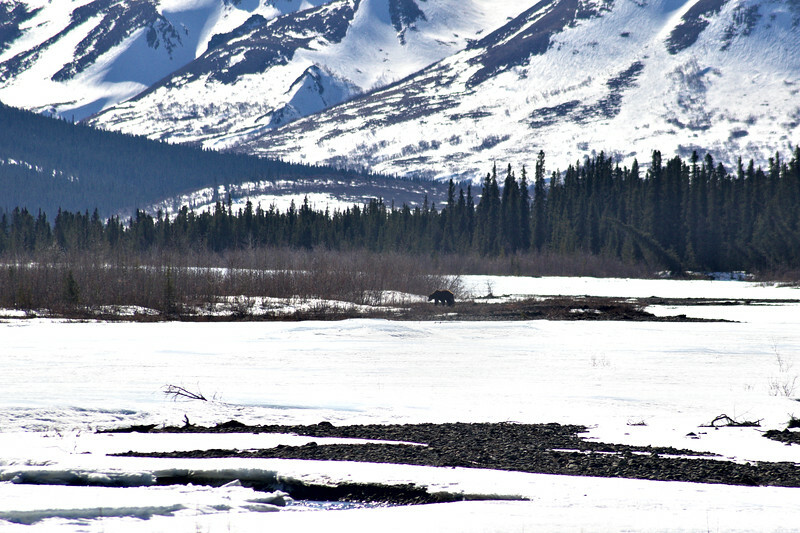 Taken while out for a walk in Denali National Park on the Teklanika River. Seeing as this sleepy giant just woke up and is probably fairly hungry I didn't want to press my luck to get a closer shot. A couple other hikers spotted him and were kind enough to point out what was ahead. He was a big bear!